Older women – by which I mean women over the age of forty – get kind of a bum rap on television. And the movies, but we’re talking TV today. They usually end up in mother roles, doling out advice, dealing with husbands and sons and daughters, being those all-loving, all-knowing, all-fixing dispensers of common sense and warm squishies. They don’t usually get the chance to be complex, and if they aren’t those perfect maternal, squishy characters, then chances are they’re a villain. But sometimes, just sometimes, a show comes along that actually recognizes the simple fact that women, no matter what their age, are people. And people are never one-dimensional. 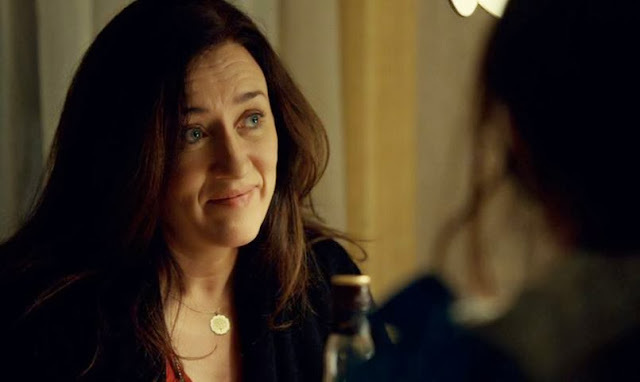 So let’s talk about Orphan Black, and let’s talk about Mrs. S.
First, though, we kind of have to go through what Orphan Black is all about, or else none of this is going to make any sense. Orphan Black is a contemporary science-fiction show about cloning and issues of personhood. It follows a group of identical women who realize that they are, in fact, clones. Which of course raises an important question: if they’re clones, then who made them? Our hero is the lovably gritty Sarah Manning (Tatiana Maslany), who grew up as a foster child in Britain, and has now come to New York City, in an attempt to get her life back on track and reclaim her daughter, Kira. Kira has been staying with Mrs. S (Maria Doyle Kennedy), who we eventually learn is actually Sarah's adoptive mother. Who Sarah most decidely does not get along with. 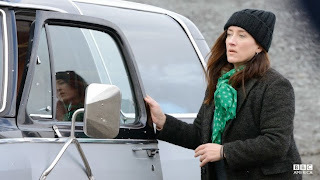 Before Sarah can reunite with her daughter, however, she has a terrifying encounter at the train station with a woman who looks suspiciously exactly like her. That woman, Beth Childs, commits suicide, and Sarah takes over her life. Oh she doesn’t mean to at first, but it’s easy money and then the lies just keep piling up and piling up, leading to Sarah’s big discovery – that not only does she have one doppleganger, she has at least eight. And that’s pretty much the show. The various clones, who are all phenomenally well acted, for the record, work together to try to discover their makers, all while grappling with the idea of having been artificially created. They lead completely different lives. They are completely different people. And yet, they aren’t. Mrs. S whose real name is Siobhan Sadler, stands at the center of all of this as a form of moral compass. She loves Sarah, and she loves Kira, but she doesn’t really trust Sarah with Kira. Mrs. S appreciates stability, which is something that Sarah has always lacked. If this were all there were to our dear Mrs. S, however, she wouldn’t really be worthy of her own feature. I mean, yes, it’s wonderful, a character who is so unlike most of the other characters we see. A compassionate, hard-edged foster mother who raised several children on her own, only to see them turn out a bit off, and then find herself raising a foster grandchild – while trying to keep afloat. She’s not an uninteresting character any way you slice her. But. There’s a lot more to Mrs. S than appears at first glance. What I said above is how we view Mrs. S throughout most of the first season of the show. She’s the morally incorruptible goodness at the show’s heart. She has totally pure motives. She wants Sarah to get her life on track, she wants Kira to be safe, she wants everything to be good and stable and nice. Yay. 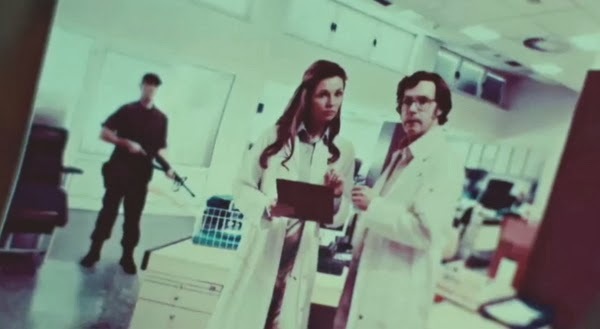 When confronted with Sarah’s clone-ness, however, we start to see another side of Mrs. S. A side that’s pretty genuinely badass. You see, Mrs. S isn’t just any foster mother. She’s a former social worker. We kind of knew this earlier too, but it didn’t really stick. What does stick out is when we realize that she isn’t exactly surprised to learn that her daughter is a clone. She seems kind of…resigned? It’s more that Mrs. S clearly knew there was something hinky with Sarah’s background all along. In fact, we find out that she most definitely knew. Sarah didn’t come to her through legal channels. Mrs. S, for all that she wears a patina of respectability now, used to be something of a radical. She worked with a group of anti-government extremists in the social work system. Most of the cases they passed through were to do with illegal immigration, where they found homes for children that the government wanted deported, but other cases were a little more strange. And one of those cases was Sarah. Sarah was “in the black”. She had no background, no papers. She didn’t exist. She was brought to Mrs. S by a contact of hers, a contact who has since gone to ground. She has no idea who Sarah’s birth parents were, where she came from, or really anything. All she knew was that Sarah was special, dangerous, and that the absolute best thing she could do was get Sarah the hell out of the UK. So she did. She uprooted her entire life and moved herself, Sarah, and her other adoptive child, Felix, all the way to New York, with the hopes that here Sarah would be able to live a safe life. That’s all she’s ever wanted for Sarah. Later in the season, we meet Sarah’s birth mother. Not her biological mother, exactly, because that would be too easy, but the surrogate who carried her to term. 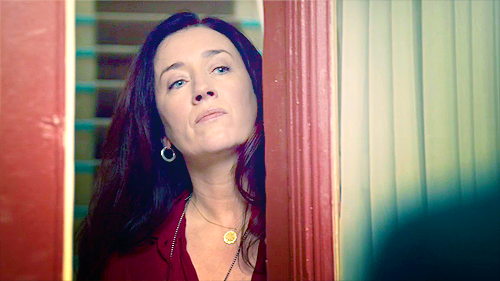 And that surrogate has something very important to tell Sarah: don’t trust Mrs. S. She isn’t who she says she is. Trust me, by this point in the story you’re pretty overwhelmed, and the idea of not trusting someone, especially someone you’ve grown to love, is terrifying. Only you kind of have to admit the validity, when you see the photograph Sarah receives. A photo of Mrs. S with Dr. Leaky – the scientist responsible for making all these clones. Which means that Mrs. S is a liar. Which is mostly my point. Mrs. S is not just a warm maternal figure. She’s not just a gruff maternal figure. She isn’t “just” anything. She is a maternal figure, but she’s also a bit hard and cold when she needs to be. She is gruff, but she also cares incredibly deeply about her kids, and she’s amazing and warm about opening her heart up to include more people in that concept. By the end of season one, all the clones have become included as “her kids”. She’s a revolutionary, who might be part of the establishment. She fights so hard to keep Kira and Sarah safe, only for us to find out that she might have been monitoring them all along. 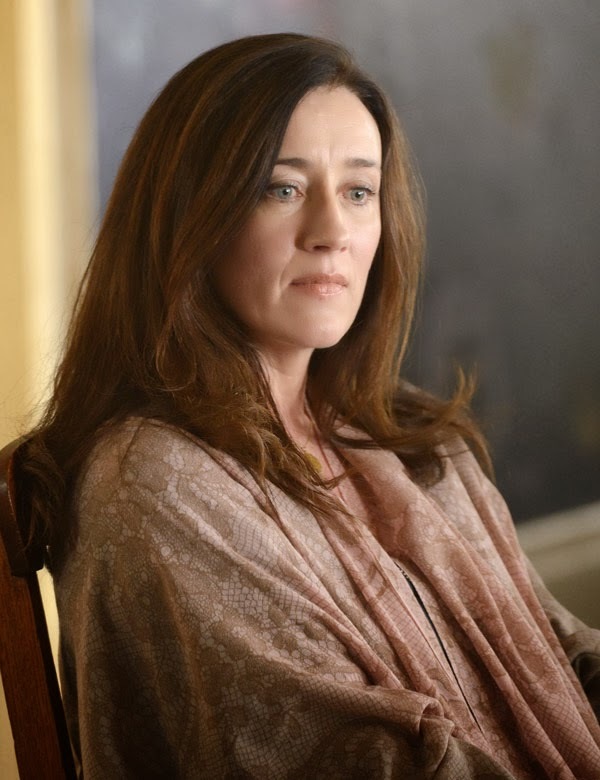 Can you remember the last time you found out that a mother character, an older woman clearly playing the "older, wiser, more stable woman" role, was determined to be a liar? I just - it's almost unthinkable, in a weird way. Oh sure, we have female characters who lie, lots of them. But they aren't mothers. They aren't characters set up to be the moral centerpiece of the show. They aren't Mrs. S.
In short, Mrs. S is hella complex, and I absolutely love it. I mean, when was the last time you got to see that? It’s so rare to see a female character, especially an older female character, who gets to switch sides (from bad guy to good guy and vice versa) at all, let alone repeatedly and without warning. It never feels manipulative or overdone, it’s just uncovering another facet of who this woman is. She is deep. She contains multitudes. It’s more than that, though. 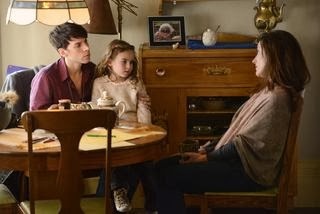 It’s easy to see why writers have a certain blind spot when it comes to writing older female characters – they immediately think of their own mothers and forget to write about people – but it’s actually important to remember that the women, like most things, accumulate experience as we get older. The older we are, the more stuff we’ve done, and the more likely we are to be complex. I mean, think about it. Who’s more complicated? A three year old or a seventy year old? Who’s more complex, who has more incongruous thoughts, frustrated dreams, and thwarted ambitions? Who’s more interesting? ...New York? Orphan Black is a very Canadian show, and the city is in fact Toronto. They never mention the word "Toronto" but they repeatedly name one of its suburbs, not to mention all the shots of Canadian money, Ontario license plates, and 416 phone numbers. OH MY GOSH THAT IS AMAZING. I HAVE SEEN SO MANY MOVIES WHERE TORONTO DOUBLES FOR NEW YORK, I NOW THINK IT *IS* NEW YORK. THIS IS SOMEHOW AWESOME.